Displaying plants from around the Mediterranean. 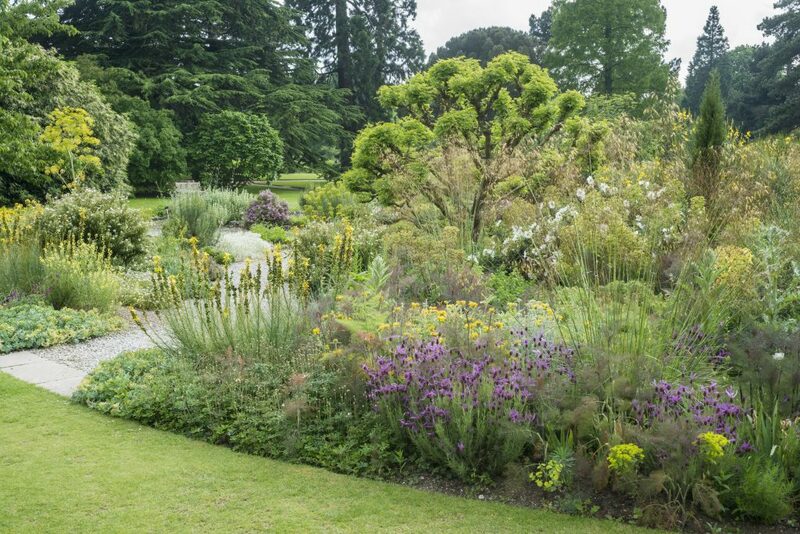 These beds house a representative selection of plants from around the Mediterranean Basin. Plants from the Mediterranean Basin are by far the most important for UK gardeners, with many thriving in our climate. Here in our Mediterranean Beds familiar plants such as rock roses and lavenders grow alongside lesser known species. All enjoy the conditions here at the Botanic Garden, where we have shallow, well-drained alluvial soils, mild temperatures and low rainfall. 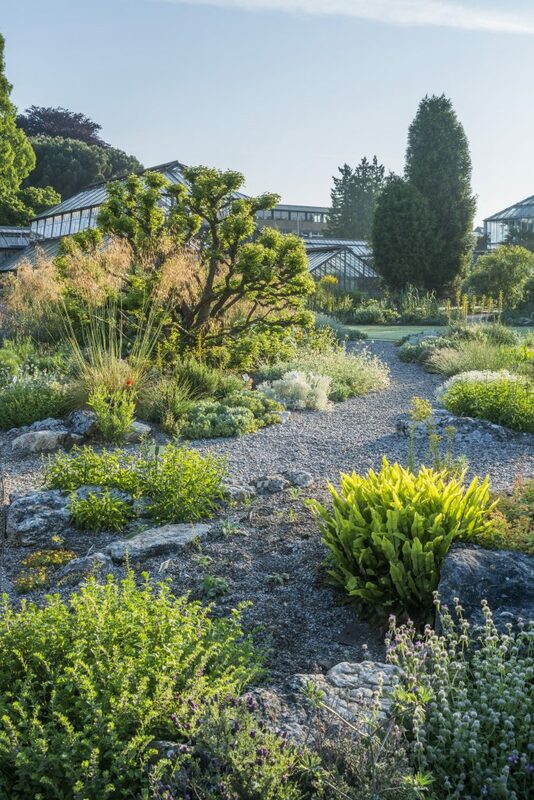 The landscaping here is evocative of the Mediterranean, and the species grown are representative of those occurring throughout the Mediterranean basin. 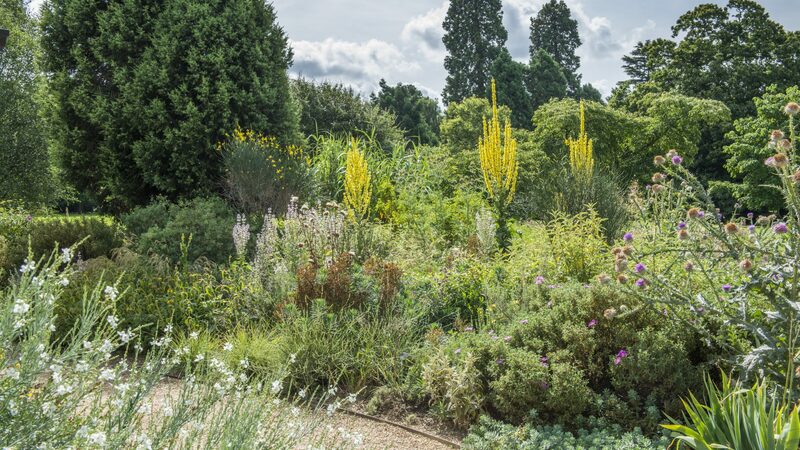 The planting comprises a mix of trees, shrubs, sub-shrubs, perennials, bulbs and annuals, all of which are combined to great effect. The fastigiate pencil cedar Cupressus sempervirens, Spanish broom Spartium junceum, Acer sempervirens and Buxus balearica provide structure, while epehemerals such as Galactites tomentosa and Stipa gigantea offer soft contrast. 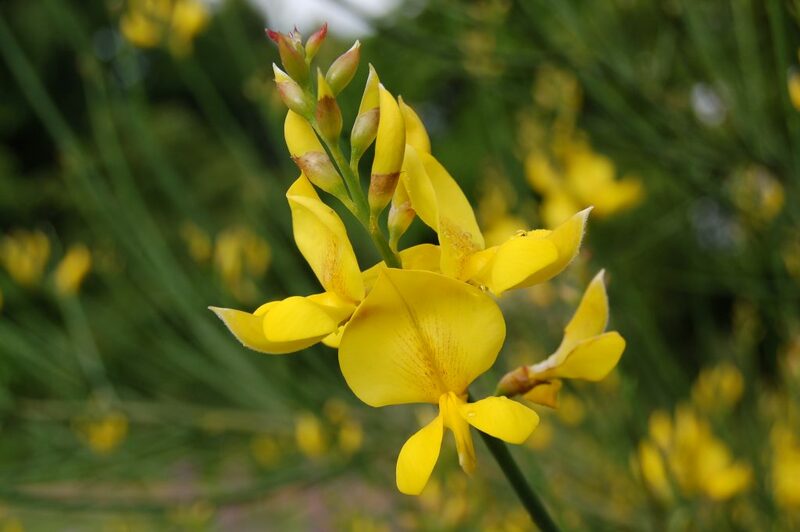 These are interspersed with a diverse range of plants including the bulbous Fritillaria assyriaca and the autumn-flowering Sternbergia lutea, shrubby Convolvulus cneorum and Lavandula latifolia, and annuals including Fibigia clypeata and Glaucium corniculatum. The season of interest here extends from early spring through to late autumn, and there is plenty to inspire.